Sat.15th - Mon.17th (Public Holiday), September. 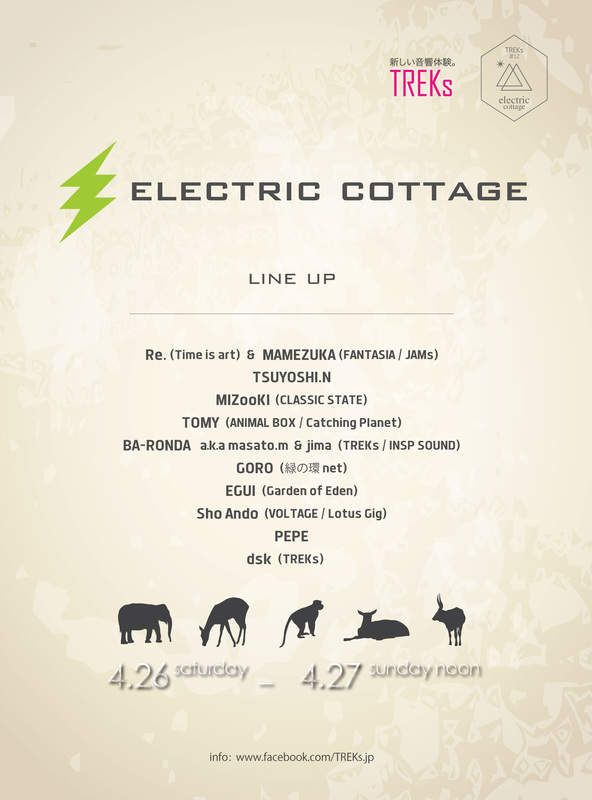 The location for the event is a private campground surrounded with beautiful forests and a mountain stream, located about 1 hour or so from Kyoto Station by car. Enjoy camping and napping in your hammock. There are natural forests of cedars, cypresses and beeches, and you can find wildflowers and wild glasses in the grounds. BAR & food stands will be available in the place. Please refrain from bringing many cans and bottles for the garbage problem. It will be chilly at night, so please bring warm gear, like a sleeping bag, blanket and extra layers to wear. * Be prepared for rain. The event will still take place if it rains. * Do not bring a dangerous substances and illegal substances. * Anti-social behavior will not be tolerated. Staff will remove trouble-makers from the event. Anyone removed from the event will not have their ticket money refunded. * No independent sound systems are allowed. * There will be no reissue for lost or stolen wristbands, so please do not take off your wristband. * Anyone under 20 years old must be accompanied by their guardian. Any children 12 years old or younger do not need to pay. * Tickets will not be refunded in the event of artist cancelations or other reasons. *Please do not enter restricted areas. * We don't bear responsibility for any goods lost or stolen, also do not bear responsibility for any injury or medical issue suffered at the event. Please behave responsibly. * Enjoy. This party is for you. Enjoy camping and napping in your hammoc. BAR & DELI will be available in the place. pls message us via TREKs facebook page or directly from our website for the reservation. このリリースに際して、ニューアルバム"AI am a boy." 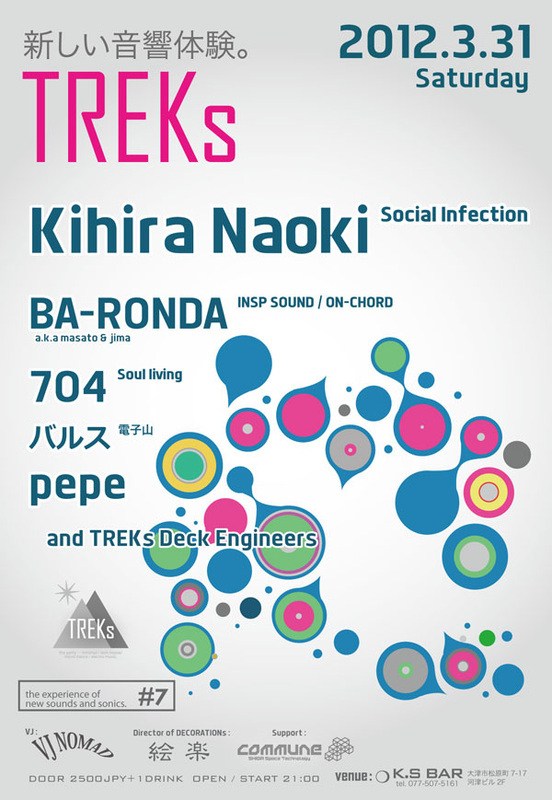 の世界を表現するリリースパーティをTREKsがプロデュース！ 7/22（土）京都METROにて!! SUGIURUMN New Album Release Party　- "AI am a boy." -the oldest club in Japan, located inside of a train station. 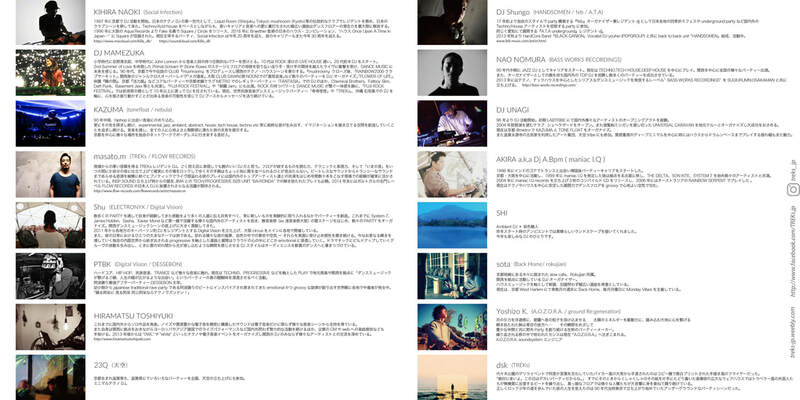 SUGIURUMN Has Released 7 Albums As Well As A Lot Of Singles And Remixes As A Producer Ao Far. He Welcomed Well-Known Singers In His Album Including Aran McGee(Creation Records), Mark Gardener(Ride), Bez(Happy Mondays), Rowetta(Happy Mondays), Tim Burgess(The Charlatans), Kram(Spiderbait),and Sideshow Bob(Galliano). Also His Tracks Are Remixed By World Top DJs / Producers Including D-nox and Beckers, Axwell, Steve Angello, Santos, Kaskade, Infusion, Richard Gray, Plastik Funk, Terry Farley, Peace Division, and Ken Ishii. He Won Attention As A Producer In Europe And Which Made Him To Expand His Playground Worldwide. As A DJ, Having Played At European Top Venues Including Pacha(Ibiza) And Sankeys(Manchester) ,Regular Gigs At Asylum Afterhours(Honolulu) And in Asian Countries, He Shared A Lot Of Time With A Number Of Real Party People Around The World. It Was in 2013 That He Launched His Own Label, BASS WORKS RECORDINGS, Where He Sends Out Serious And Real Dance Music To Underground Party Freaks, Crossing Over Music Categories From Techno Thorough House. 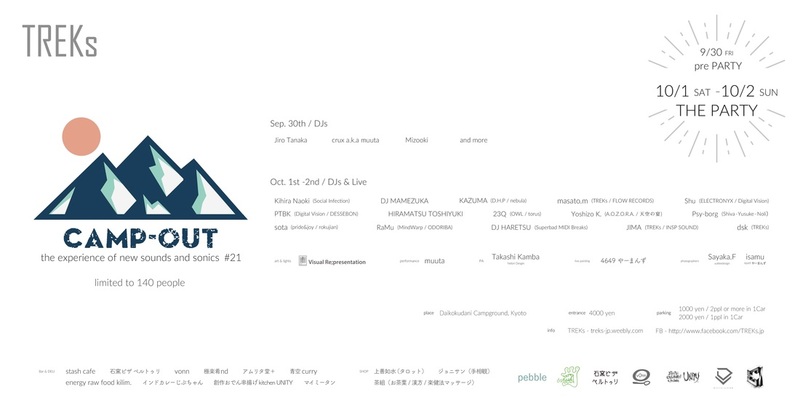 The Label Has Released Over 100 Tracks, Involving Most Of Japanese producers. 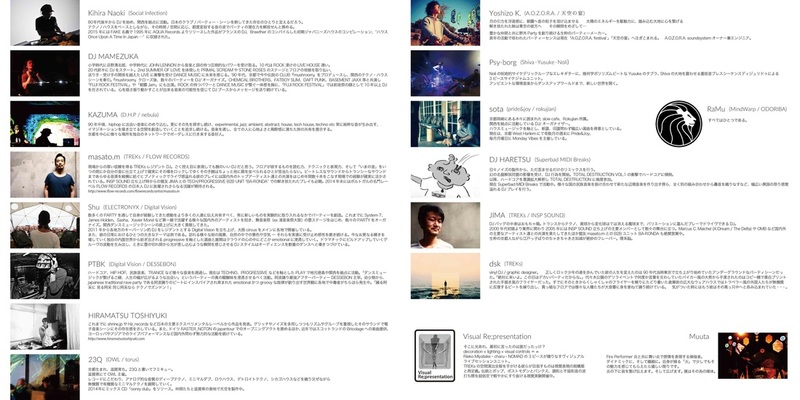 The Latest Album『20xx』(2014) Consists Of Genre-Straddling Deep Floor-Oriented Tracks, Which Is Gradually Nipping At Party People’s Heels. All The Experiences He Had Including Sharing Floors With Originators Or Even Past DJ Experiences Itself Lead Him To Climb Next Step And Make People Go Crazy On The Floor As An Innovator.m Including Aran McGee(Creation Records), Mark Gardener(Ride), Bez(Happy Mondays), Rowetta(Happy Mondays), Tim Burgess(The Charlatans), Kram(Spiderbait),and Sideshow Bob(Galliano). Also His Tracks Are Remixed By World Top DJs / Producers Including D-nox and Beckers, Axwell, Steve Angello, Santos, Kaskade, Infusion, Richard Gray, Plastik Funk, Terry Farley, Peace Division, and Ken Ishii. He Won Attention As A Producer In Europe And Which Made Him To Expand His Playground Worldwide. As A DJ, Having Played At European Top Venues Including Pacha(Ibiza) And Sankeys(Manchester) ,Regular Gigs At Asylum Afterhours(Honolulu) And in Asian Countries, He Shared A Lot Of Time With A Number Of Real Party People Around The World. It Was in 2013 That He Launched His Own Label, BASS WORKS RECORDINGS, Where He Sends Out Serious And Real Dance Music To Underground Party Freaks, Crossing Over Music Categories From Techno Thorough House. 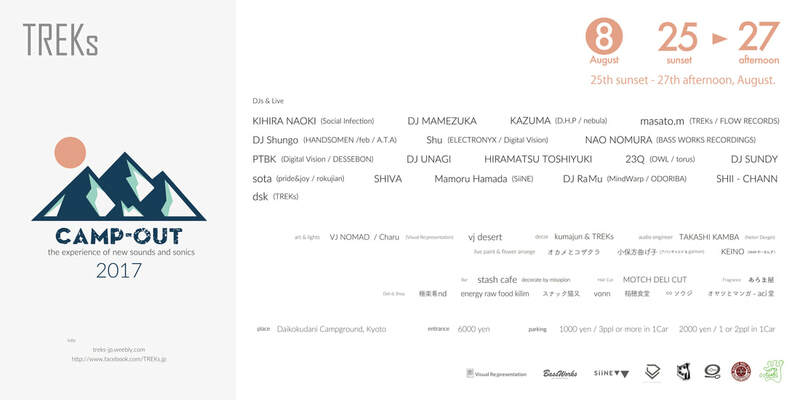 The Label Has Released Over 100 Tracks, Involving Most Of Japanese producers. The Latest Album『20xx』(2014) Consists Of Genre-Straddling Deep Floor-Oriented Tracks, Which Is Gradually Nipping At Party People’s Heels. All The Experiences He Had Including Sharing Floors With Originators Or Even Past DJ Experiences Itself Lead Him To Climb Next Step And Make People Go Crazy On The Floor As An Innovator. 石窯ピザ ベルトゥリ　vonn　極楽肴nd　アムリタ堂＋　energy raw food kilim. 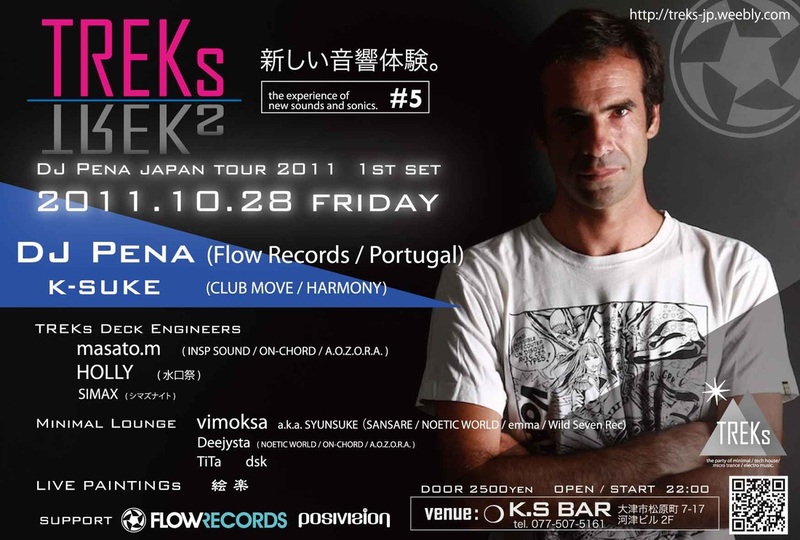 TREKs #20 "Pedro Aguiar Japan Tour 2016"
Lisbon's native Pedro Aguiar is firmly cutting his way into the spotlight, releasing timeless compositions that seem to be resonating all over the globe, either being for its technical quality or indisputable originality. It wasn’t long before he caught the attention of Guy J, who has not only signed him to his very own Lost & Found label, but has also admitted that Pedro is one of his favorite producers out there. His debut album entitled “Landscapes & Heartbreaks” come to prove how rich Pedro's musical palette is, and tracks like “Ego Tripping”, which is already a Lost & Found classic, show why his organic textural sound is becoming a firm favorite and one of the most sought after. Pedro's music constantly receives massive world wide support from every big giant you could name. 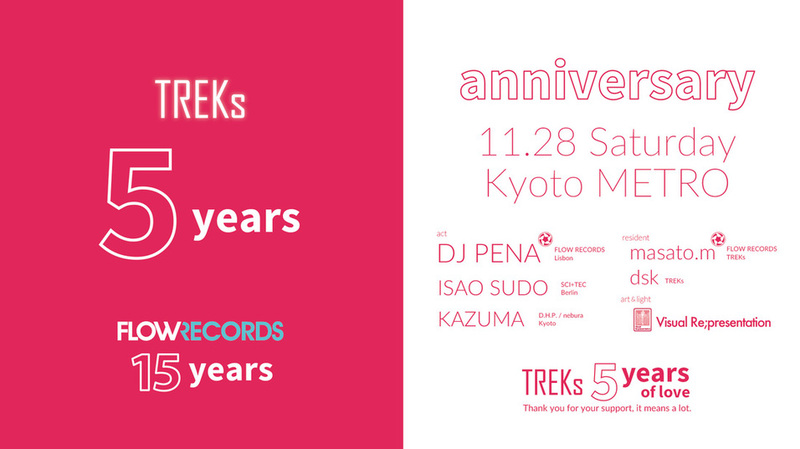 "Anniversary - TREKs 5 years / FLOW 15 years"
located about 1 hour or so from Kyoto Station by car. There are natural forests of cedars, cypresses and beeches, and you can find wildflowers in the grounds. Please refrain from bringing many cans and bottles for the garbage problem, if you could. pls message us via TREKs facebook page or our website for a reservation. the next TREKs party will be on Saturday 6th June! 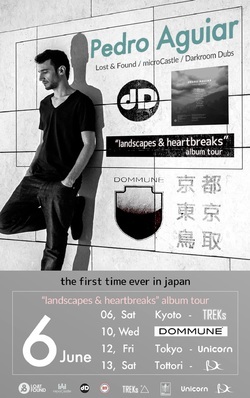 releasing his tracks on labels like Lost & Found, FlowVinyl, Renaissance, Plastic City, Sudbeat and microCastle. 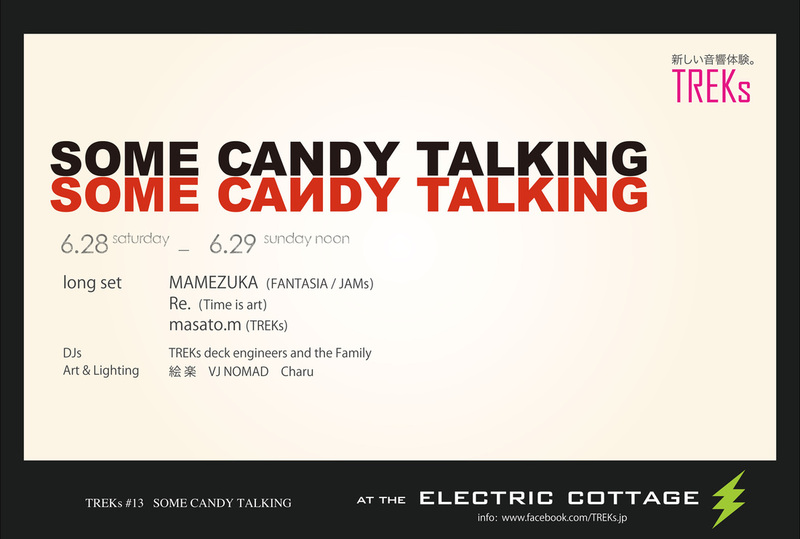 don't miss this that he will show us a long DJ set only by using Vinyls and CDJs! Lisbon's native Pedro Aguiar is firmly cutting his way into the spotlight, releasing timeless compositions that seem to be resonating all over the globe, either being for its technical quality or indisputable originality. It wasn’t long before he caught the attention of Guy j, who has not only signed him to his very own Lost & Found label, but has also admitted that Pedro is one of his favourite producers out there. His debut album entitled “Landscapes & Heartbreaks” come to prove how rich Pedro's musical palette is, and tracks like “Ego Tripping”, which is already a Lost & Found classic, show why his organic textural sound is becoming a firm favourite and one of the most sought after. With a release count on labels like Lost & Found, Renaissance, Plastic City, Sudbeat and microCastle, Pedro Aguiar has certainly crafted his own take in dance music over the last years, and is undoubtably one of the names you should be watching in the future. Cheers to a great 2015!! 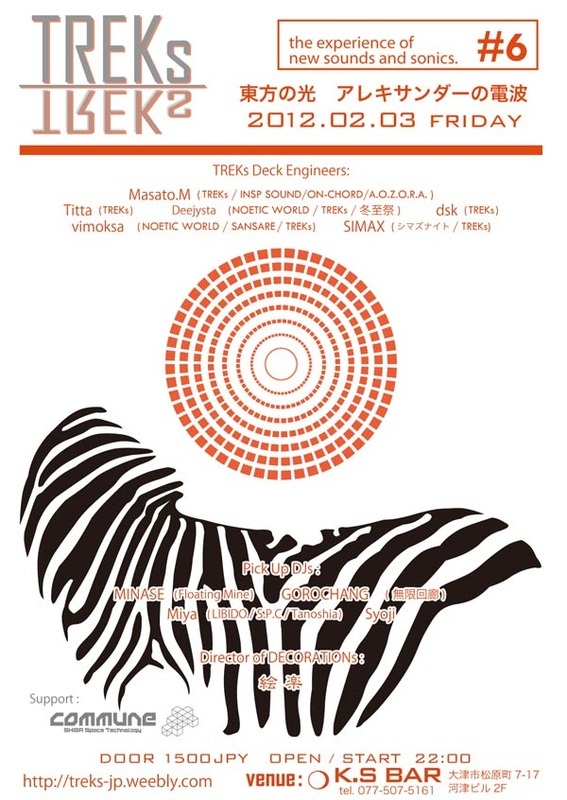 the first party of TREKs in this year will be on February 21st. 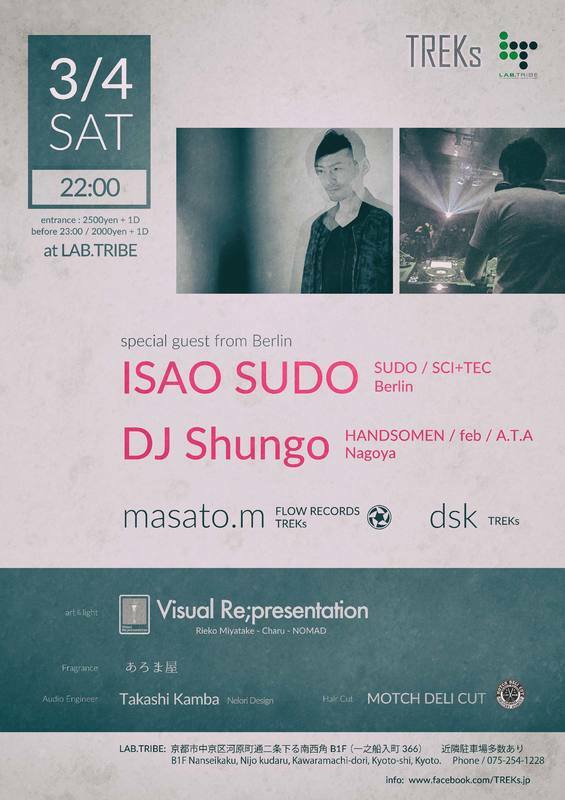 DJ ISAO a.k.a SUDO from Berlin will play exclusive techno set. 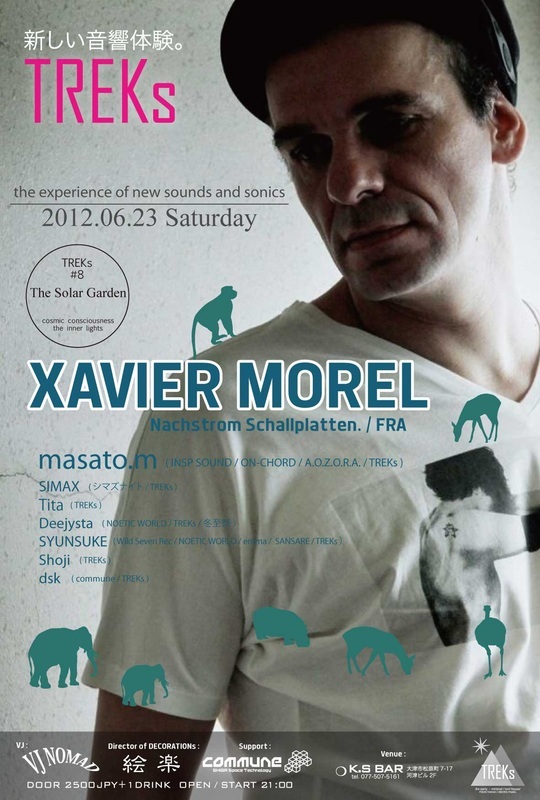 He's playing in Netherlands, Berlin and Ibiza. 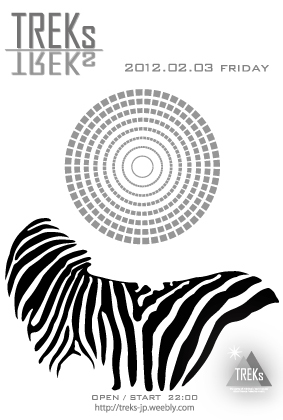 his tracks are going to be released from SCI＋TEC which running by Dubfire in this year. please pencil in this date. we wish you all the best for this year! August 30th-31st, 2014　TREKs #14 "TREKs and A.O.Z.O.R.A. 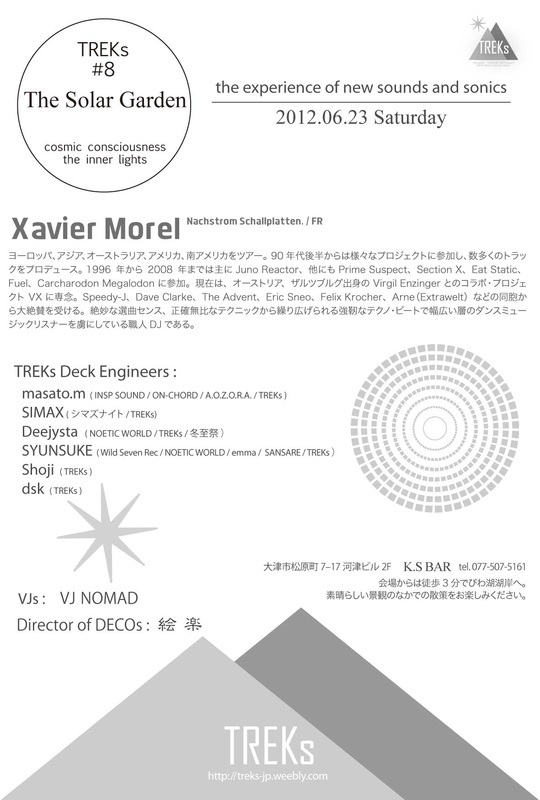 Outdoor in Kyoto"
"TREKs and A.O.Z.O.R.A. Outdoor in Kyoto"
located about 1 hour and 15 minutes from Kyoto Station by car. BAR & DELI are available in the place. Gate will open at 3p.m on 30th, end in the afternoon on 31st. Please show your respect to the nature and the local community. Please be responsible with your garbage and don't throw your cigarette butts on the floor. Please carry a portable ashtray if you smoke. Also please don't leave your camp area a mess. * Be prepared for cold weather, wind, and rain. * Anti-social behavior will not be tolerated. Staff will remove trouble-makers from the event. Anyone removed from the event by security will not have their ticket money refunded. * Tents and tarps are not allowed on the dance floor. Only camp in the campsite areas. * Musical instruments (such as drums or whistles) are not allowed on the dance floor. * Tickets will not be refunded in the event of artist cancelations, suspension of the event, or other reasons. * The event will still take place if it rains. Please carry a portable ashtray Japanese-style if you smoke. * Anti-social behavior will not be tolerated. Staff will remove trouble-makers from the event. We will inform further details of the location only to the participants. ** Entry is limited to 120 people so please register early ! Be prepared for cold weather, wind, and rain. Eastern Light, the Electric Wave of Alexander. the experience of new sounds and sonics. 2011.09.30. Friday #4 「愛って何時？」　What Time is Love? 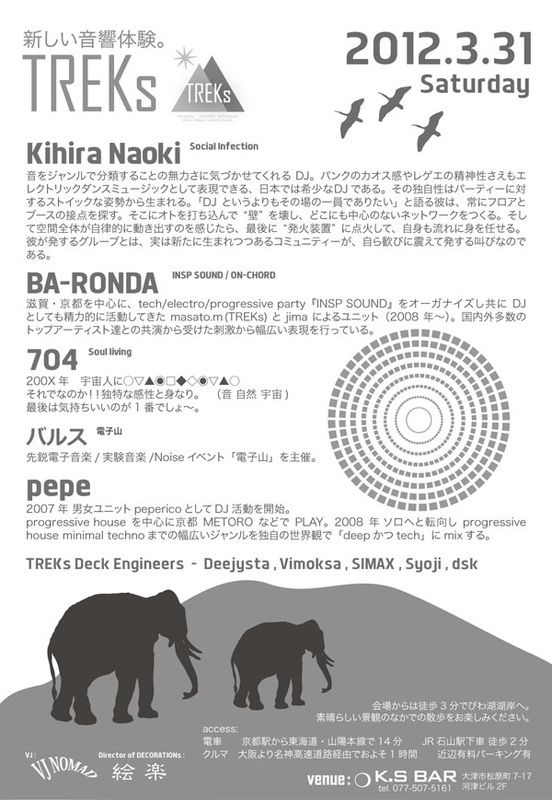 2011.06.04. Saturday #3 「みえているもののかたちをうたがう」 Suspicion about forms you look. 2011.01.22. 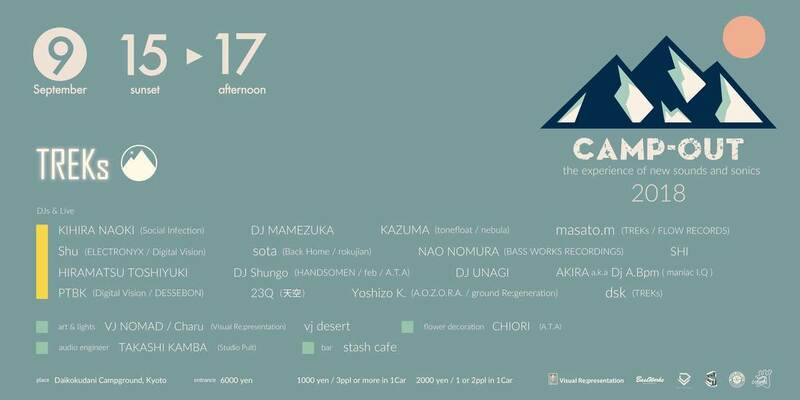 Saturday #2 「じかんのはじまりとじかんのおわり」 the beginning of the time and the end of the time.